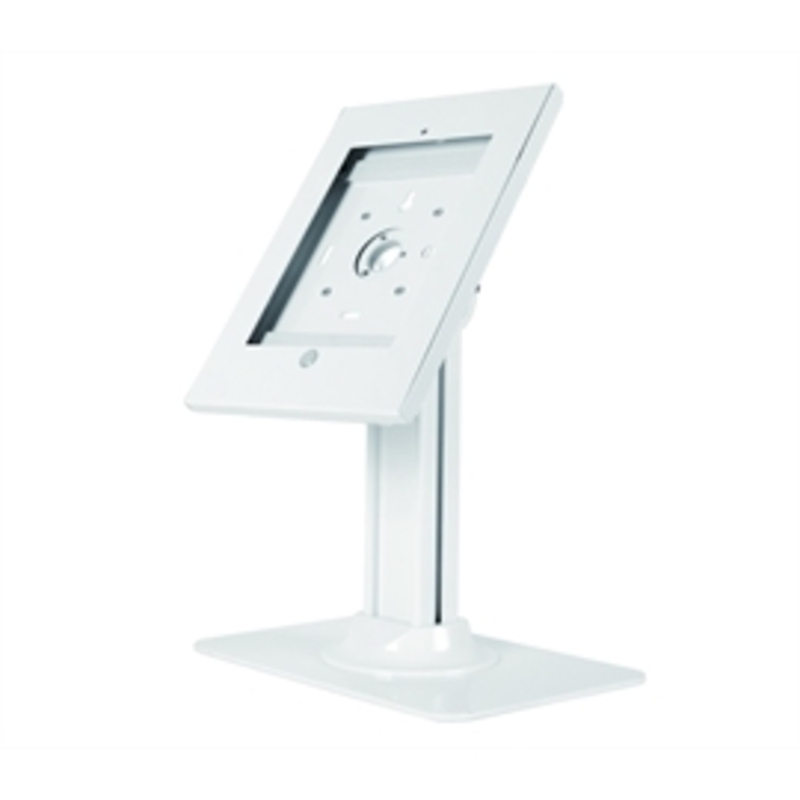 SIIGs Security Countertop Kiosk POS Stand for iPad is designed to let you install your iPad onto a countertop stand to serve as a workstation, kiosk display or point of sale (POS). It comes with standard lock and key to protect and secure the iPad inside the holder. And it supports landscape or portrait orientation and tilt angle for an optimal viewing angle. Solid metal construction ensures sturdiness and durability when using this kiosk or POS in open access public areas. Low profile metal base plate with mounting holes can be mounted onto any surface for added security and provides a clean and professional look, great for retail, restaurant or public display.